Browse our different cruise options here. We operate 365 days of the year. 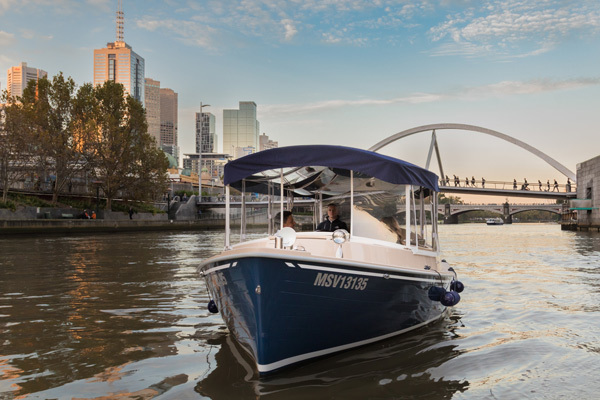 Yarra River boat rides can be enjoyed in any weather, during the morning, afternoon or after dark. We operate immaculate, luxury boats with capacities of 6, 8, 10 and 35 passengers. All cruises are private. 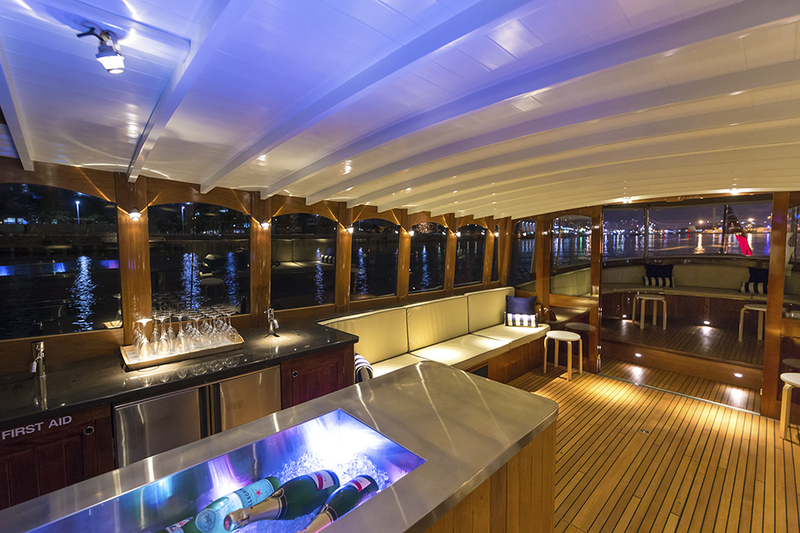 Once you book, the vessel and times are reserved for you and your party. 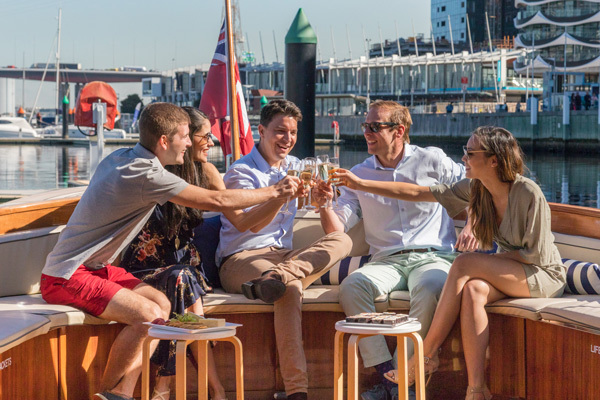 Cruising in Melbourne is a great way to celebrate a number of festivals, special dates and significant moments with the people you care about. 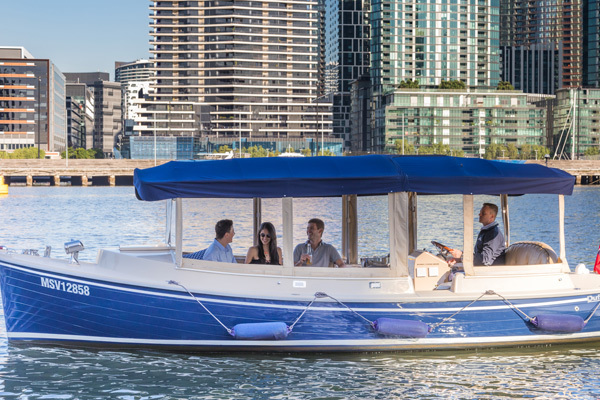 See below, for the popular ways passengers have combined luxury boating on the Yarra River with holidays and celebrations. If you would like help planning something unique, our expertise is available. Simply follow this link to discuss. Consider the prospect of an experience neither you nor your partner will ever forget. 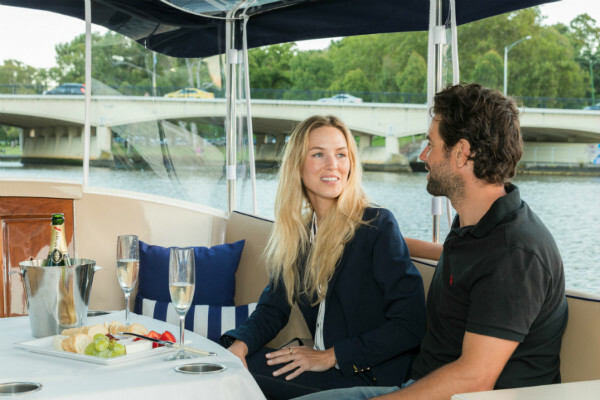 The perfect getaway in a relaxed environment with your partner whilst enjoying the beauty of the Yarra River by day or night. Are you running out of options to propose to your partner? Everyone seems to have done what you have thought of and you want to make it really special? 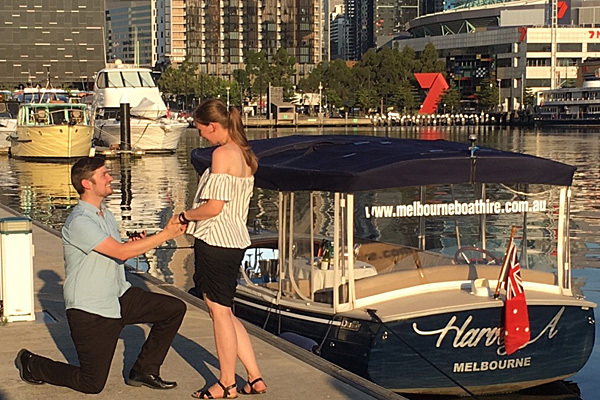 So, how about a perfect, romantic marriage proposal on private boat. You decide when and how you want to propose. 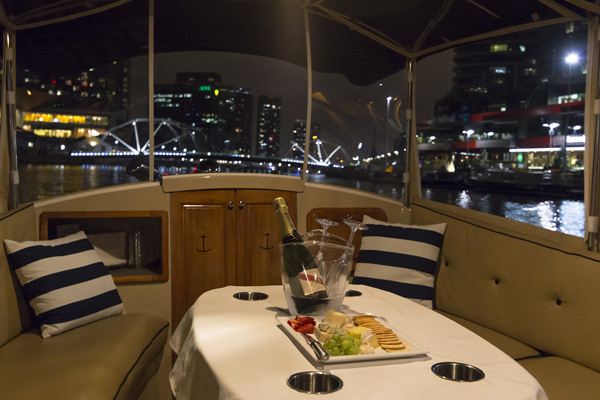 Combine fine dining with an evening or sunset cruise aboard our luxury private boats, anywhere throughout the Docklands, Southbank or CBD Yarra River precincts. Enjoy cullinary variety- dining at its finest- and be treated to a spectacular show as the light changes over Melbourne CBD. Let one of our skippered professionals with local knowledge whisk you away with a private luxury cruise. All you need to do is relax and unwind and take in the many sites along the Yarra River. Choose from one of our premium luxury vessels. Are you bored with corporate functions in boardrooms, restaurants or function centres? Treat your staff and clients to something special. 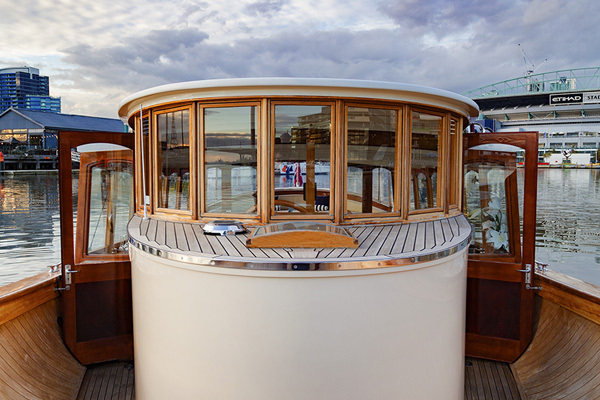 Hire a luxurious private skippered boat. 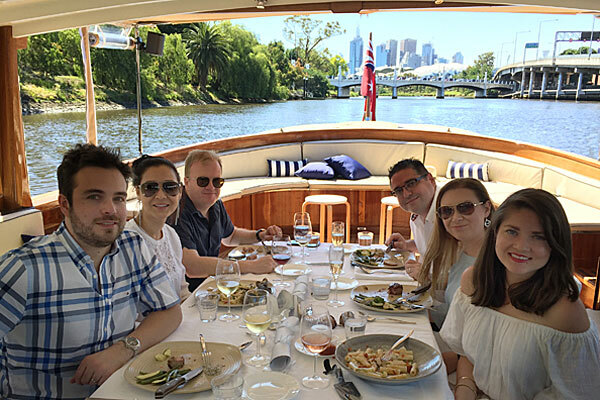 Let the Captain navigate from one of our impressive fleet of vessels and take you along the waterways of the Yarra River. 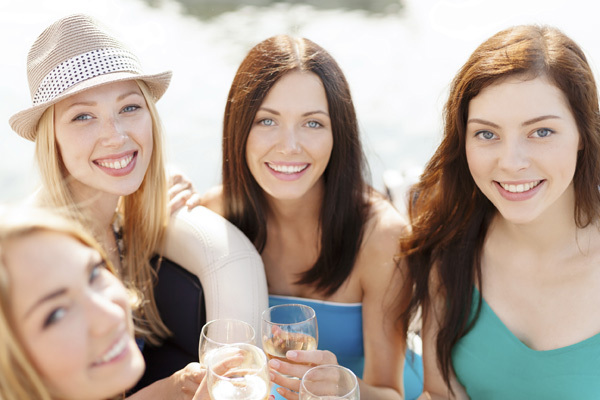 Are you looking for a way to celebrate your Hen’s Party in unique way? Do you want to try something a little different than a restaurant or a club? No boat license is required. Why not self-drive along the Yarra River. There is absolutely no experience required so imagine, you are the master of your boat! Enjoy the beauty of the Yarra as you meander across the waterways. Come on-board one of our luxury private charters and sail away with your friends and family. Are you tired of looking at venues but just cannot decide which one to lock-in for your boutique wedding.? Are you concerned about going over-budget? 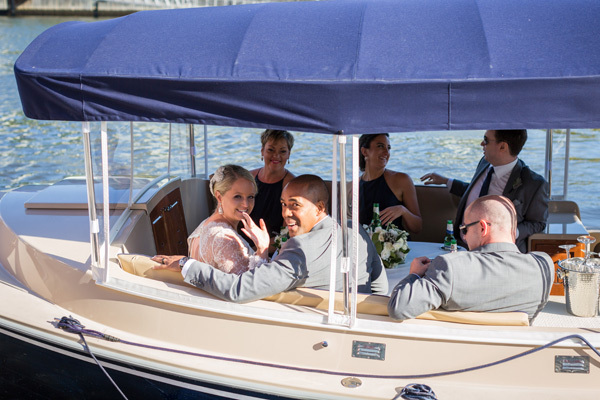 Have you considered a boutique wedding cruise? 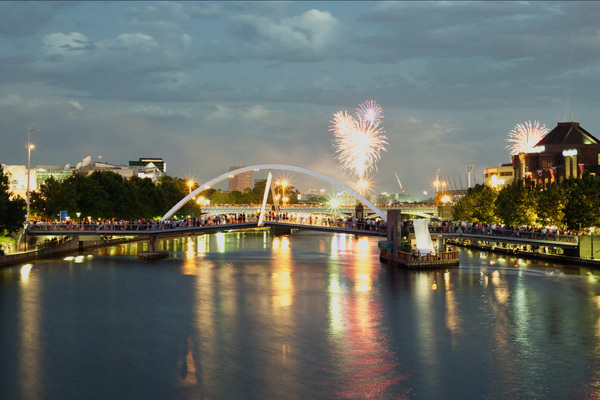 The iconic Yarra River has been enthralling visitors for years. Take a private tour of the river and be immersed in the rich history of Melbourne as you pass iconic buildings and structures. Your experienced Captain will share insights and stories of this very beautiful city. We all know how stressful it is to queue up at the train stations and the congestion of the roads. 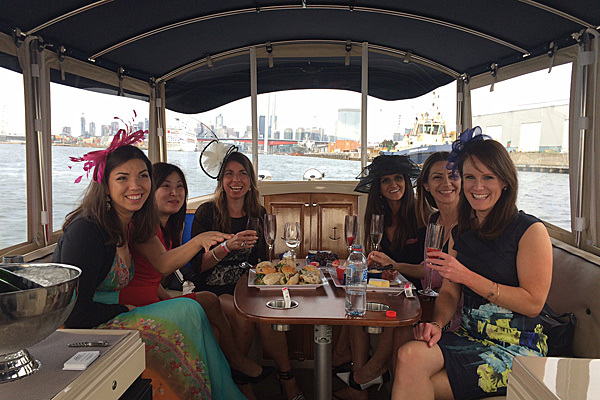 So, how about travelling in a little style to the Flemington Race Course? A night out in Melbourne just got perfect. 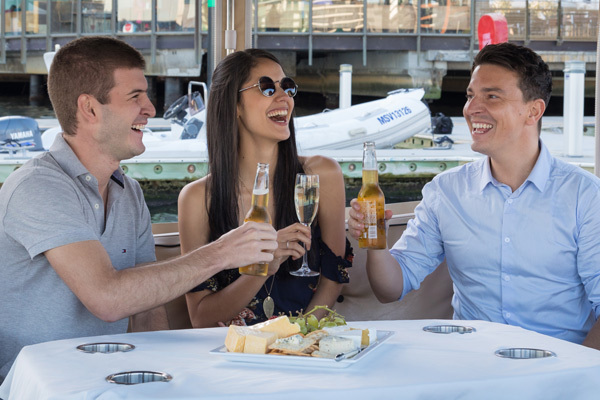 Yarra River Cruises are available with on-board dining. 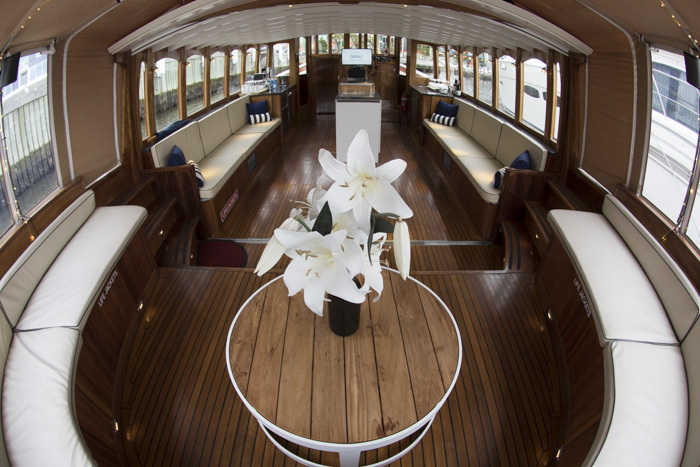 Menu selections from Dockland's finest restaurants are served on board luxurious, privately owned eco-friendly yachts. Seating is comfortable, spacious and designed to provide stunning views of sunset over Melbourne as the light changes.